One of this year’s ECPA Christian Book award finalists was Tyndale’s NLT Hidden in My Heart Scripture Memory Bible. Designed to encourage kids to not only read God’s Word but hide it in their heart it has lots of features to help with scripture memorization. Tyndale provided this Bible free for review. I was not required to give a positive review – only an honest one. All opinions are my own. Tyndale sent me the Teal LeatherLike cover. It measures 5.75″ x 8.75″ x 1.4″ and weighs just over 1 pound, 13 ounces. It has a glued binding, 1 bright orange ribbon marker and silver gilt on the pages. It has sewn edges, beautiful multi-color thick paper glued down end papers (that match the heart on the box) and lays open easily right out of the box on all but the very first and last pages. I like the teal, green, and orange color scheme that is gender neutral and inviting. This Bible is also available in a hardback and paperback edition. The paper feels like it’s in the lower to mid 30’s in gsm and a slight rough texture. It turns easily and isn’t noisy. It has light show-through. It has a 8 point with 9 point leading font in a consistent medium black ink. The text is set in double column paragraph format with poetry in stanzas. Quotes, lists, and letters are offset to make them easy to spot. Chapter numbers and section headings are in green ink. The headers are also in green ink also and have the page number, book name, and chapter number in the outer corners. The memory verses are the key feature of this Bible. Tyndale has chosen a core 100 verses and 136 additional challenge verses as their recommended starting place for Bible memorization. The core 100 each have their own memorize highlight that includes the complete verse in not only in the NLT but in NIV and KJV as well. It also inlcudes a brief Explore & Apply paragraph to help you think about the meaning of the verse and a suggestion for how you might Pray that verse. It also lists which page to turn to for a short Bible study on that verse and which song to listen to (more on that later). There’s a check off box for when you’ve finished memorizing that verse. All of this is done on a slightly green tinted section to make them easy to see. 6 of the challenge verses get this exact same treatment. The remaining 130 challenge verses have a green highlight that includes just the verse printed in all three translations and the check-off box. I really like that they have included the memory verse in more than one translation. The NLT is a great translation for reading, especially for children, but you might want to memorize your verse in a different translation because of people being more familiar with that wording or because it is the main translation your family, your church, or your school uses. There is a list of the 236 highlighted memory verses with check-off boxes in the back but Tyndale has also included 2 other verse lists that I really like. The first is in the front of the Bible and is called a Thematic Memory Verse Plan. It takes some of the major themes of the Bible like Who is God? and Christian Calling, breaking them down into smaller topics and giving you a list of verse to memorize for each one. The second could act a little like a concordance but instead of looking up a specific word you’d be looking up a specific topic and finding some of the key verses. I like the fact that, while both the thematic and topical verse lists put the verses from the memory lists first, they don’t limit themselves to just that 236 verses. This will make is easier for someone to find more verses to memorize that go along with a theme they are studying or a topic that is very useful or interesting to them. There are also lists of great Bible passages to memorize and great Bible stories to know and share to encourage further study. There are a few blank pages in the back that would be great for adding your own Bible memory lists when you want to supplement or add to what’s here. The Hidden in My Heart Scripture Memory Bible includes several different kinds of notes. The first is their own version of book introductions. These introductions give you the who (both writer and his audience), the when, and the why of the book as well as a brief summary. The NLT footnotes are also included to help with weight and measure conversions and point out other translation possibilities. To help you get the most out of this Bible it also includes a HIMH (Hidden in My Heart) user’s guide that points out all the features and helps you find them, and a list of 10 Hide-it Helpers; 10 of the most commonly used memorization tricks with Bible specific examples. There is also the Digging Deeper section in the back. Each of the core 100 (+6) verses has a mini Bible study complete with questions. 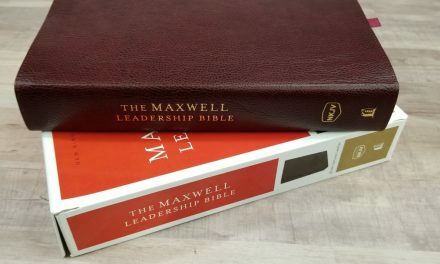 Each copy of this Bible comes with a code to enable you to download songs to help you memorize the core 100 verses plus 6 of the challenge verses. You can download them one at a time or all 106 for each translation (KJV, NLT, & NIV) at once. Once you’ve set up a free account with HIMH you’ll only need your email and password to be able to download the songs again. While none of these songs is likely to be nominated for a Dove Award they are catchy tunes and seem very well suited to their memory aide purpose. Two different indexes to the songs are included; one to help you find the most appealing songs by age group and the other lists songs by musical style. Each verse has it’s own tune that stays the same no matter which translation’s words are being sung. Bible memorization is very important and Hidden in My Heart Scripture Memory Bible does a great job of encouraging and assisting that pursuit. 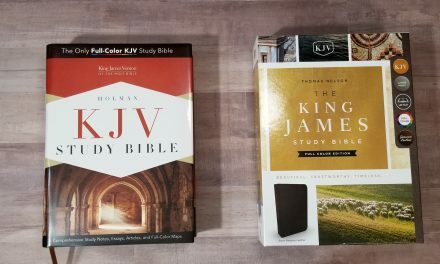 While this was not the first 100 verses I memorized (or had my kids memorize) is is a good selection of verses that would find its way onto most peoples memory list sooner or later. While this Bible is primarily aimed at children it is not “kiddie” and would also be very useful to new converts and even older saints that haven’t prioritized (or have had difficulty) memorizing Bible verses in the past. I can highly recommend this Bible especially if you add a few of your own favorite, most relevant, and commonly used verses to the list.